It was a case of good things come to those who wait for 1. FSV Mainz 05 captain Julian Baumgartlinger on Matchday 21. The Austria international midfielder powered home his first Bundesliga goal at the 112th attempt as the 05ers moved to within two points of the UEFA Champions League places with a 2-1 victory at home to FC Schalke 04. 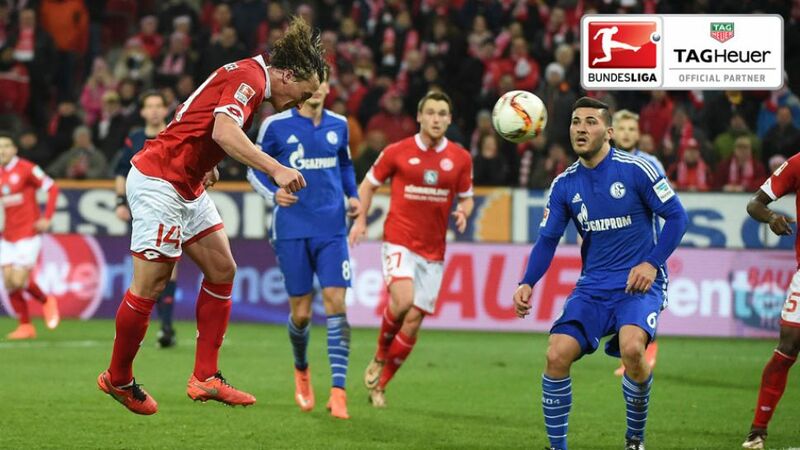 Mainz had already been pegged back after Schalke signing Younes Belhanda cancelled out Gaetan Bussmann’s header, but the home side’s captain fantastic had the final say 11 minutes from time, converting only his third-ever shot on goal in the Bundesliga to take the gong for Tag Heuer's #DontCrackUnderPressure moment of Matchday 21.